When I believe that there is a human being in action up there, in that moment, alive right there, then I get spellbound. When you really achieve that understanding of human beings, the ability to place yourselves in the shoes of another human being and reveal that life on stage is, to me, the ultimate experience. 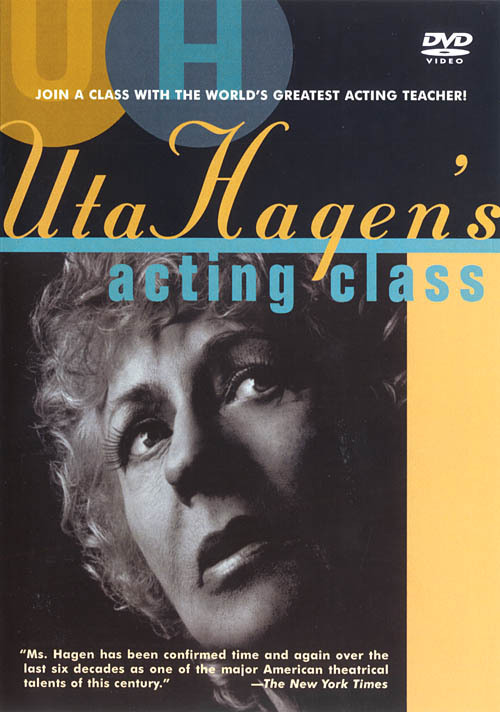 Uta Hagen’s Acting Class is a feature length documentary film that puts you right in the classroom. Watch Ms. Hagen work with actors and demonstrate the major techniques of acting. Former students Whoopi Goldberg, Amanda Peet, Jack Lemmon and Christine Lahti talk about her influence on their work. Because I love the theater, and believe it to be not only the actor’s training but testing ground, it is with great pleasure that I recommend this set. She taught me the truth about human behavior. Here is Ms. Hagen at her extraordinary best… Will watching this video make you a better actor, director or teacher? Yes, yes, and yes. Uta Hagen received the Tony and Drama Critics Award for her performances in Odets’ The Country Girl and Edward Albee’s Who’s Afraid of Virginia Woolf. More recently she earned an Obie for “setting a theatrical bonfire” (New York Times) in Mrs. Klein. In 2002, Ms. Hagen was presented the National Medal of Arts.